Christmas time is here! and it is time for holiday parties, get togethers, and gatherings with family and friends. 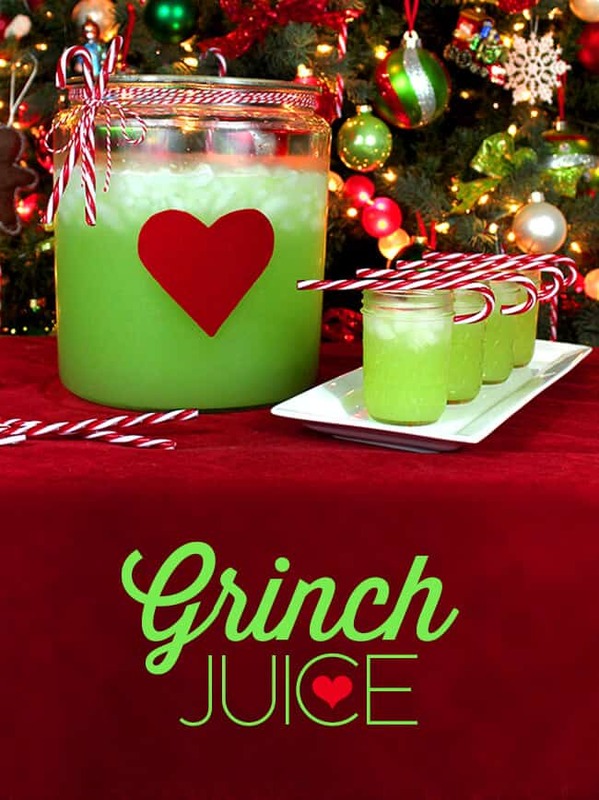 you may need a fun and quick recipe for one of your Christmas events, so i am showing you this Grinch Juice recipe inspired by one of my all-time favorite Christmas stories, How The Grinch Stole Christmas. 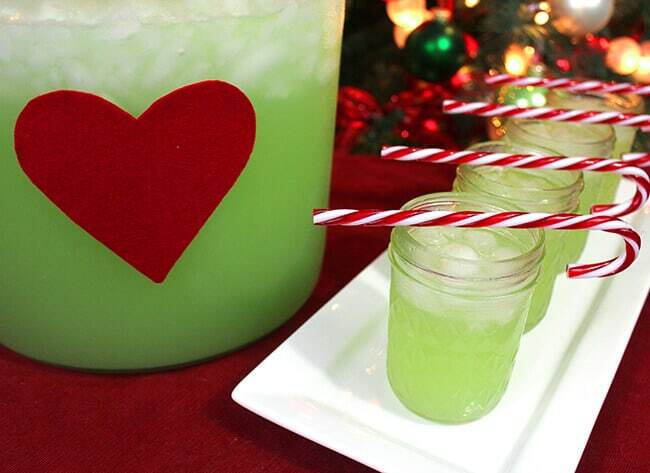 so i love to make this green punch and call it Grinch Juice! by dressing up the punch bowl and adding a few fun garnishes, your guest will definitely not be Grinches this year. 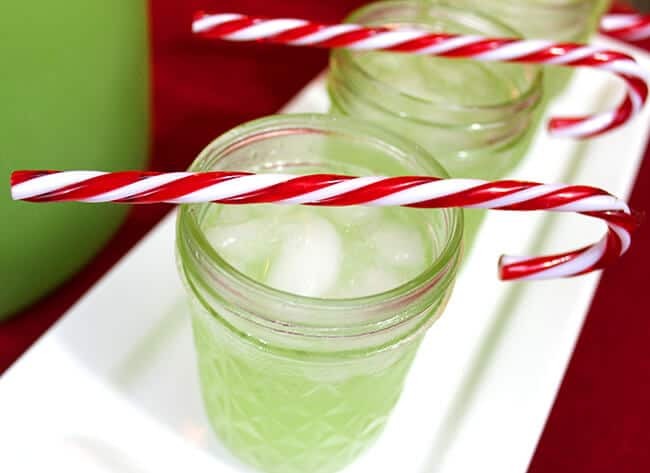 to make this Grinch Juice, you will need blue food coloring, orange juice, lemon juice, Sweet’N Low, water, vanilla extract, almond extract and lemon-lime soda. in a punch bowl or pitcher (i suggest clear glass so you can see the green) combine two drops of blue food coloring, orange juice, lemon juice, Sweet’N Low, and water. stir until combined. next add the vanilla and almond extracts. now you can either chill it overnight in the fridge, or serve immediately. finally, when you are ready to serve, you can fill your glasses with ice and then pour the juice over the ice. i like to garnish with a candy cane or maraschino cherry. you can also just let your guests serve themselves. 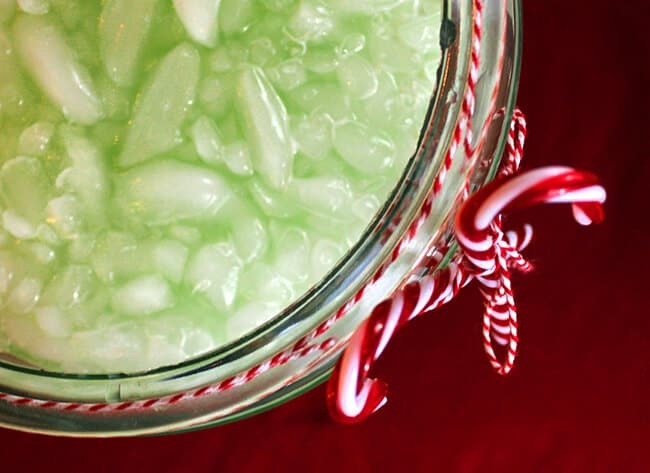 to make my Grinch Juice extra festive, i like to use a tall, clear glass punch bowl or clear glass pitcher. then i cut out a heart out of felt or cardstock and affix it on the front of the bowl or pitcher to represent the Grinch’s heart that finally grew 3 sizes the year that he brought Christmas back to the Whos. you can also place How The Grinch Stole Christmas story book next to the juice…or make a fun sign. 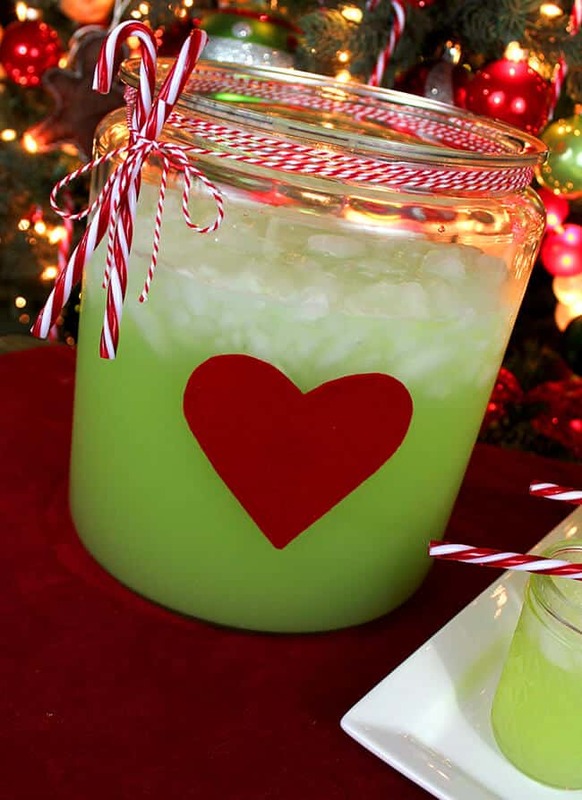 this Grinch Juice is a great compliment to any Christmas Party. kids and adults will enjoy it’s fun theme. the lemon-lime flavor is a light and refreshing compliment to holiday appetizer spread. 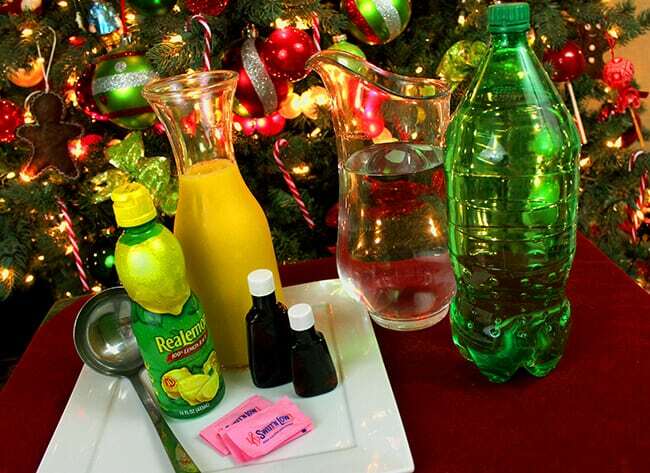 and pssst, using the Sweet ‘N Low cuts down on the extra calories of added sugar, you are saving 2 cups of sugar from this drink….plus, i can’t tell the difference in this particular drink. add more or less according to your taste. in a punch bowl, mix together orange juice, lemon juice, Sweet’N Low, water and food coloring. stir until combined. next add vanilla extract and almond extract. chill overnight, or serve immediately following the next directions. add add lemon-lime soda and ice to the juice. taste, and adjust any of the flavors to your liking. 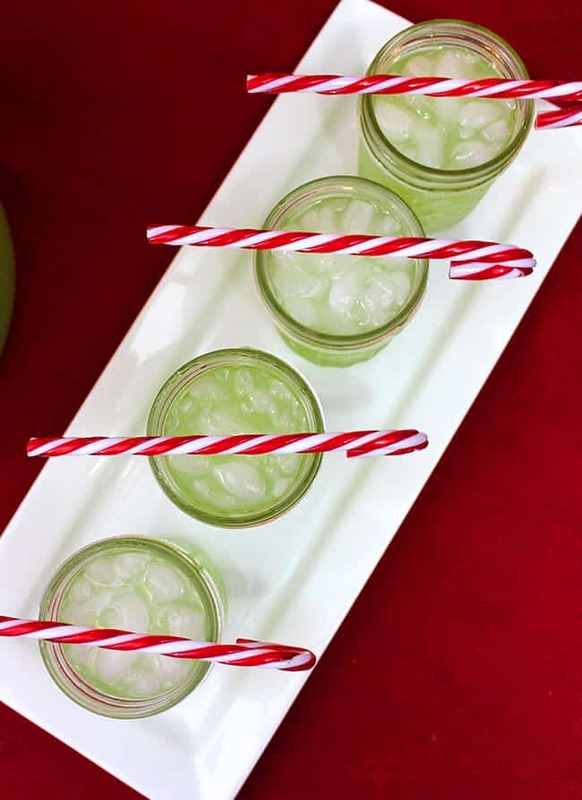 you can garnish each cup with a candy cane or a maraschino cherry. 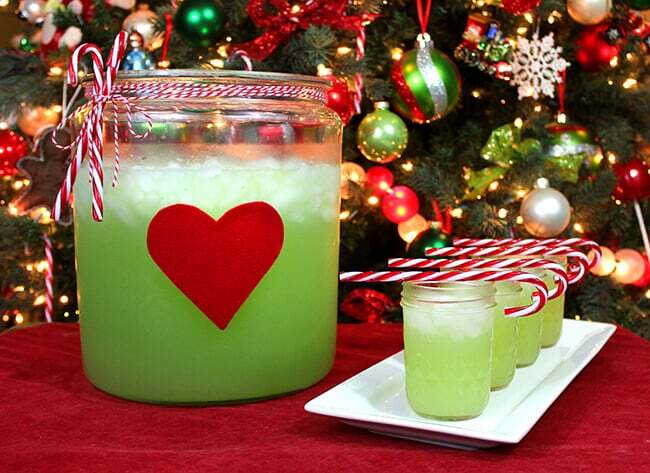 tip: to make your drink look extra Grinchy, tape or glue a heart to the outside of the container. You might also like to make these Coca Cola Reindeer!!! !